We’ve all done it. Made detailed plans, only to see them go hopelessly awry. We’ve also done the opposite. Made a Grand Plan with absolutely no details, intending to get by on the fly. Only to have that implode, too. So where is the happy medium? Sage Lockhart’s romantic dreams have fallen apart. She still wants to have a child. But this time she is not taking any chances. She’s going into the situation with a clear-eyed vision and a proposal. Nick Monroe has always pushed hard and fast for what he wants. That hasn’t worked out for him, either. Now, he’s trying to learn to be patient. To accept what can be given to him, without ruining everything by ambitiously wanting more. So, when Nick and Sage decide to have a child together, they set the boundaries. No pressure, no expectations, and definitely no romance! They will remain lovers and friends, take each day as it comes, and share the baby they are now happily expecting. Until marriage becomes unexpectedly necessary. Then, all bets are off. And both are forced to figure out exactly what they want, all over again…. 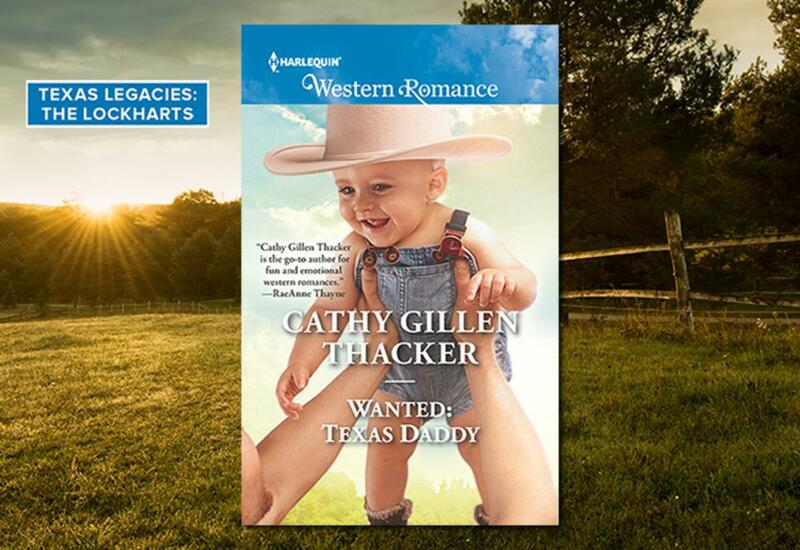 Read an EXCERPT of Wanted: Texas Daddy and check out the other books in the TEXAS LEGACIES: THE LOCKHARTS series.